How can we change childbirth? This was a question that preoccupied me after my first daughter was born – a planned home birth that ended in a not-very-positive post-dates induction and forceps delivery. She was a terrible sleeper, and night after night for months I sat breastfeeding her, going over and over what had happened and wondering if there was anything I could have done, at any point in her birth, to change the course of events. At the time I was on maternity leave from work as a Dramatherapist (a form of psychotherapy using the creative arts), a job I had held for several years, specialising particularly in the area of early attachment. As I sat and contemplated my own experience of having a baby, I also began to wonder about the impact of birth on the mother-infant bond, and thus on society and the world at large. I began to notice with a keen interest the birth stories of friends– and many seemed to follow a similar pattern: high hopes for a normal experience ending with feet in stirrups or on the operating table. Many admitted, like me, having been afraid of birth, and it seemed that many, like me, found their worst fears were realized. Why were we, these tough 21st century women, almost literally ‘taking it lying down’? Navigating the system itself seemed a key problem, with a myriad of difficult childbirth choices. What interventions were helpful – which should we avoid at all costs? Real ‘evidence’ seemed hard to come by, and medical opinion was often presented as fact. So here we were, preparing for a key moment in our lives that had implications for all of mankind: afraid, disempowered and misinformed! I felt that women’s freedom was truly being compromised by this situation – for how can we be truly free when we are letting others take control of our decisions, or when our choices are based in fear or a lack of accurate information? In late September 2012 I went to a screening of Freedom for Birth, the film about imprisoned midwife Agnes Gereb, and the wider issues of rights in childbirth. The film called on women to ‘take back birth’. I very much heard this call, but felt at a loss – how could we do this? I then had a very little idea. As a newly trained doula, I could run a monthly birth discussion group in my area. I could create a place for women to gather and share thoughts and feelings about birth, to challenge fear and negativity, and to empower each other with support and shared information. I then started to wonder if my ‘little idea’ could spread? If I were willing to run such a group, perhaps others might do the same? And what if we could use the power of social media to connect all these little groups to one enormous ‘Mother Ship’? Well it seems that there has never been a better time to have a ‘little idea’ than the 21st century. I dropped my little idea out into the ocean of cyberspace – and the response was overwhelming – a tidal wave of offers, ideas and positivity. Over 300 groups in the UK, over 50 in the USA and Canada, nearly 20 in Australia and New Zealand, nearly 10 in Turkey, 4 in the Netherlands, 3 in Germany, 2 in Malaysia, 2 in Brazil and 1 each in Bahrain, Cyprus, France, Ireland, Israel, Italy, Malta, Oman, Qatar, Morocco, Singapore, Switzerland, Uganda, India and South Africa. The Positive Birth Movement believes that every woman deserves a positive birth. A positive birth does not have to be ‘natural’ or ‘drug free’ – it simply has to be informed from a place of positivity as opposed to fear. The Positive Birth Movement is woman-centred and as such respects a woman’s human right to choose where and how she has her baby. 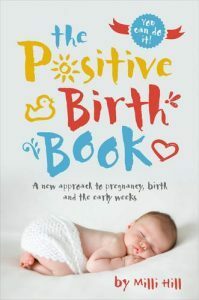 You can birth with positivity in hospital or at home, with or without medical intervention. You can have a positive caesarean, or a positive home water birth. Positive Birth is about approaching birth realistically, having genuine choice, and feeling empowered by your experience. All of our groups are completely free to attend, and most run at least once a month. They are mostly facilitated by doulas, midwives, and birth workers, and some are led by women who are ‘just’ passionate about positive birth. They are mainly aimed at pregnant women, but are open to anyone who would like to either gain or share some information and wisdom about birth. Images of Birth; Language of Birth; Place of Birth; Choices in Birth; The hour following birth and beyond; Fear of Birth; Risk in Birth; Oxytocin; Improving Birth; The Second Stage of Labour;; Induction; The Bed in the Birthroom; Pain; Mind & Body; What does giving birth feel like? – and many more! Positive Birth Groups aim to be a helpful part of pregnancy; a warm and welcoming place for women to hear stories and ideas, to consider what they really want from their childbirth experience, and to challenge any fears or negative expectations they might have. We aim to make birth more positive for more women. We believe that if women are empowered to approach birth differently, birth will be different. The ‘system’ is complicated and looking at ways to change it can feel overwhelming. So my hope is that by being part of the PBM, and becoming more empowered, informed and knowing their rights, women will enter the system differently, and that the system will be forced to change to accommodate them. Some would say we are a political movement, others describe us as a feminist movement, still others see us simply as a ‘network’. We are the sum of our parts, we are what women want us to be – and this is constantly changing. It feels very exciting that we as an organisation can move and change and respond as birth itself moves, changes and responds. Our philosophy is simple: women talking to women really can make a difference. When women come together to explore positivelynew ideas, stories and information, the room becomes fuelled with oxytocin and power. There truly is a feeling of love and connection between us all and we all go away feeling “high” on the possibilities that can be achieved. I think that the Positive Birth Movement Derby was the right place at the right time. In an area lacking any resources for supporting mums and pregnant women it is a refreshing and new outlook. The group really has gone from strength to strength slowly but surely. Our biggest success has been gaining the interest of two academics from the University of Derby, who have developed a collaborative research project, investigating the birth experiences of women who use the Positive Birth Movement meetings. The results will be published shortly. I co-facilitate Positive Birth Glasgow. We have over 150 members of our facebook group including mothers, pregnant women, doulas, midwives, an obstetrician, a shiatsu practitioner, trainee midwives and other birth workers. The ‘real life’ group is a wonderful and safe space for women to share, listen and learn during this amazing time that is pregnancy and birth. The Positive Birth Movement as a whole is an amazing and much needed grass roots movement and we are very proud to be an active part of it. What I love about the Positive Birth Movement meetings is that they are about mums / parents / families empoweringthemselves and encouraging each other, the ‘professionals’ who support the group provide information but the emphasis is on each family taking the information and making their own decisions to have what makes a positive birth for them, no one tells anyone else what they should want or do. I became involved with the Positive Birth Movement primarily because, having had three amazing home water births myself, I wanted to spread the word about what might be possible for others. My birth stories are definitely an antidote to the horror stories so many women hear, even if my choices aren’t for everyone! Bristol positive birth group was the most fascinating, supportive & informative part of my prenatal experience. I heard about the group through friends, who had just given birth, who said it was the best thing they had done while pregnant. A little sceptical I went along with my partner but straight away, from the very first eye-opening meeting we realised we had found something very secial. Here was a forum for intelligent, informed, in-depth and open discussion about all aspects of pregnancy and birth. We had been all at sea, drowning in websites, books & confusing, conflicting advice from family, friends and the medical profession but this was very different. Each meet up was an opportunity to hear real stories and experiences from people we had got to know – every one a learning experience in itself, followed by fascinating discussions where a wealth of concerns, ideas and knowledge were shared by both pregnant couples going through the same journey we were on and the ‘experts’, the doulas, midwives, the yoga teachers. I always felt reassured after every meeting and as though I’d moved further along in understanding the amazing experience we were going through. Fantastically supportive group of amazing women. I came away from the Glasgow meeting feeling empowered. 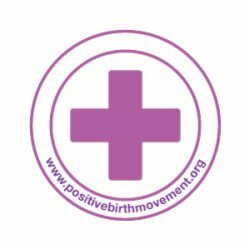 Your nearest Positive Birth Movement group needs you! 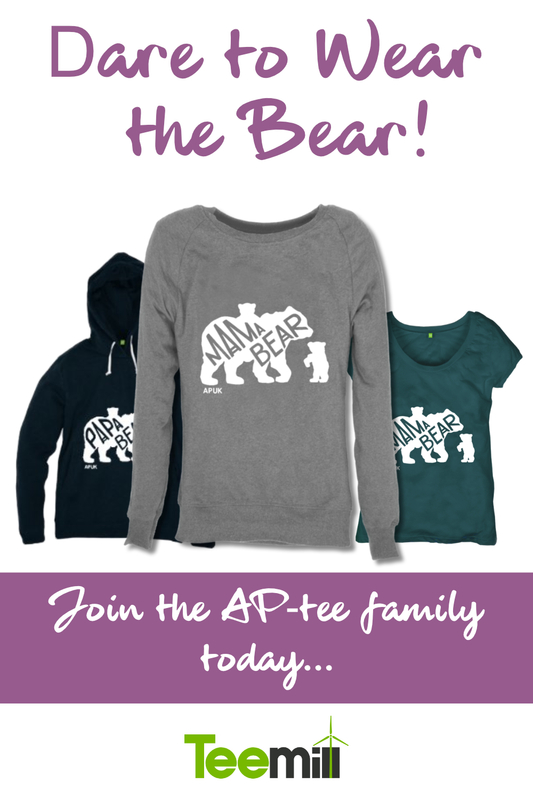 Whether you are already a mother, expecting, or just passionate about birth, you will be welcomed with open arms! All choices, birth experiences and philosophies are welcome – everyone has something to learn and something to share. If there is no group near you, you might like to start one – have a look at our website and get in touch with us if you are interested in finding out more. Visit us online and please also join us in our online community on Facebook, Twitter, Pinterest and YouTube. Milli Hill is a freelance writer and the founder of The Positive Birth Movement. 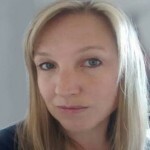 Her weekly column for BestDaily.co.uk covers birth, breastfeeding and early parenting, and she also writes for various other publications including The Telegraph and The Guardian. She is the editor of a collection of water birth stories – Water Birth: Stories to Inspire and Inform – and contributed a chapter to The Roar Behind the Silence: Why Kindness, Compassion and Respect Matter in Maternity Care. Prior to motherhood she worked extensively as a Dramatherapist and is a fledgling Doula. She lives in Somerset with her partner and three small children.